Great news! Your Chamber's December Newsletter is now available to view and download on our website! 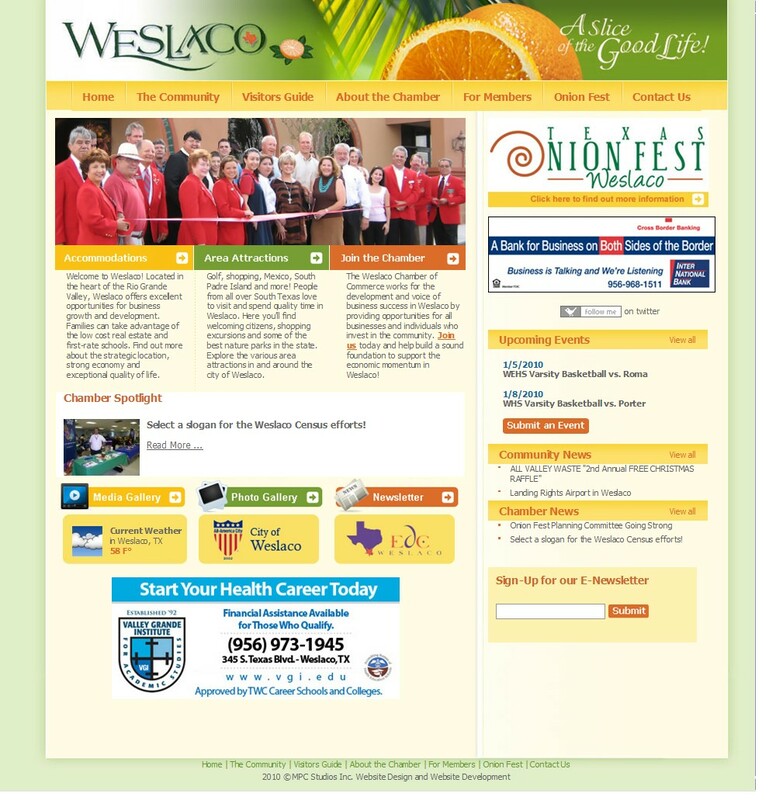 Go check it out at www.weslaco.com! There is also news from the Chamber as well as the community. The calendar is updated often - don't forget - you are welcome to submit events and news to us for the website! We Have Sponsorship Opportunities You Don't Want To Miss! Onion Festival is the perfect opportunity to promote your product or service to happy people having a great time. Corporate marketing sponsorships play an integral role in the development of the Texas Onion Fest. We can offer the opportunity to strengthen your corporate image and promote brand identity. Call 968-2102 so we can customize your sponsorship! The Weslaco Complete Count Committee, a local group of citizens assisting with the 2010 U.S. Census, is looking for a slogan for the Weslaco Census count. The Census, which is conducted every 10 years, will be conducted this spring. It is very important that every resident of Weslaco be counted! An accurate census count of Weslaco will help the community in many ways.